CloudTV 3.9.1 – International TV on your Desktop. CloudTV allows you to watch over 400 live TV channels from all over the world, as well as download thousands of catch-up programmes from the UK and France, complete with smart playlists and support for AirPlay. Next story Pixelmator 3.7.1 – Powerful layer-based image editor. Previous story Capture One 11.2.0 – RAW workflow software. 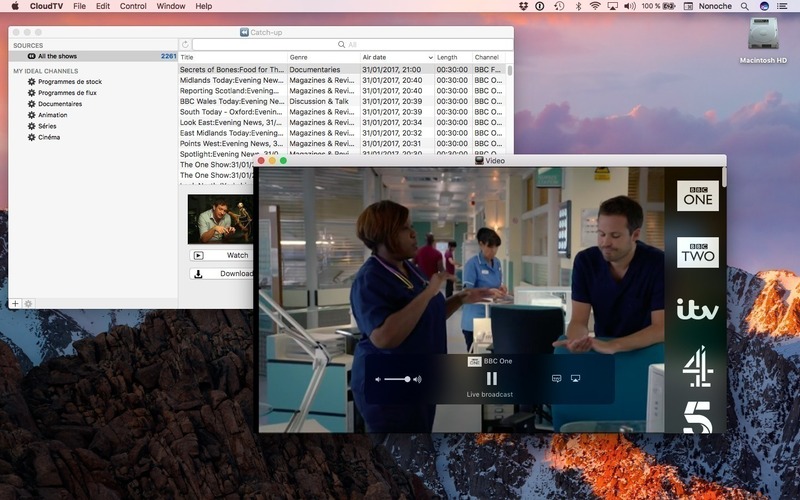 CloudTV 3.8.5 – International TV on your Desktop. CloudTV 3.7.9 – International TV on your Desktop.